Sunny skies and coolish temperatures greeted runners and walker for this year’s GA-sponsored Caspian Challenge. One hundred eight finishers enjoyed the fast conditions, and records fell once again! Sam Beech took the overall Lake Loop winner, with a record time of 38:12, and our overall 5K winner was Evan Thornton-Sherman with a time of 21:05. We look forward to another great race next year! The Annual Meeting of the Greensboro Association will take place on Thursday, August 4 from 4-6 PM. The Board elected to schedule the meeting earlier in the evening to accommodate the variety of evening activities in early August. Included on the agenda are a one-hour business meeting, followed by a town update that will include a presentation from the Planning Commission on the results of the recent community survey, as well as a report from Hardwick Police Chief Aaron Cochran. Finally, we invite you to celebrate the recipients of this year’s Greensboro Award, Judy and Andy Dales, and offer thanks at this meeting for their many contributions to the community. Please note the earlier time and join us from 4:00 PM to 6:00 PM on Thursday, August 4 at the GUCC Fellowship Hall. Shorelines and properties around Caspian Lake experienced unprecedented ice and high water damages during the 2015/2016 winter. The Greensboro Association Ad Hoc committee on Lake Water Levels has been investigating the extent of the damages, the causes and possible solutions. The committee has also met with the Vermont Agency of Natural Resources to inform them of damages to Caspian’s shoreline, to understand the Agency’s policies and to discuss long term solutions. The objective of the July 8th meeting is to inform the Caspian community of the current situation regarding controlling lake levels and to discuss the committee’s proposals on how Caspian community should move forward to prevent seasonal ice and high water damage in the future. It’s been a Vermont tradition for 45 years. On the first Saturday in May, Vermonters take to our highways and byways, green garbage bags in hand, and pick up roadside litter. It’s just one of the ways we work to keep our state beautiful for all of us. This year, Green-up Day is on Saturday, May 7. The town will provide green bags and gloves for trash collection. Come to the Town Clerk’s office to mark your route on the town map so everyone knows which areas have been covered. This year, Greensboro’s Walking ladies will provide snacks and the Vermont Coffee Company is also supplying coffee for volunteers. Full green-up bags can be brought to the designated dumpster behind the Town Hall. In addition, the metal dumpster will be available, as well as a tire dumpster for tires found along roadsides. If you have tires to dispose other than those found along roadsides, the town has a suggested fee of $3.00 per tire, delivered to the town clerk’s office. Not in Greensboro, or even in Vermont, for Green-up Day? Consider taking a few minutes of your day to green-up in your town. For more information about Green-up Day, including safety tips, visit https://www.greenupvermont.org. 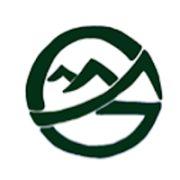 https://www.greensboroassociation.org/wp-content/uploads/2016/04/greenupday.jpg 396 400 Betsy Hunt https://www.greensboroassociation.org/wp-content/uploads/2015/09/GA_Logo.png Betsy Hunt2016-04-27 19:52:172016-04-27 19:55:00Green-up Day! Greensboro’s Select Board approved the Association’s plans for hosting the 5th Annual Caspian Challenge on the morning of Sunday, July 24. This family-friendly event has grown over the years, and it will continue to include the 6.8 mile run around Caspian, a 5K run, and a 5K walk. Proceeds from past runs have supported lake protection and, most recently, the Lakeview Union School’s Farm-to-School program. Look for race details and a link to online registration on the Greensboro Association website by mid-May. The Challenge relies heavily on volunteers for its success. Interested in getting involved to keep this event running into the future? Contact victoriavonhessert@gmail.com. Under Act 46 of 2015, communities are being asked to change how school districts and supervisory unions operate to meet student needs and address taxpayer concerns. The Greensboro and Lakeview school boards aim to help build understanding of Act 46, what it means for our students, and how the Greensboro community will move forward to meet the requirements of the law. Please join us on Thursday, December 10 at 6:30 PM at the Lakeview Union School on Lauredon Avenue in Greensboro, for a conversation about the Act, what we want for our students, and our next steps. This will be the first of several conversations with our community on this subject. We hope you can join us. Questions? Contact the school boards at lvwboard@ossu.org or grbboard@ossu.org. More information on Act 46 is also available at www.ossu.org or by calling the Supervisory Union office at 472-6531, x14. Please join us at 7:30pm on Friday, August 10 for the Greensboro Association Annual meeting in Fellowship Hall at the United Church of Christ. In addition to updates by the Selectboard and the Hardwick Police Department, we will have a report on Caspian Lake, a review of projects which are planned for the next year and a presentation on the status of Highland Lodge by guest speakers Willey and David Smith. The Association will also approve our budget and the slate of new officers for next year. Look for the 2012 Greensboro Association Newsletter in your mailboxes (electronic and post office) this week! Lots of news about Willeys Store, Swimming Lessons, Fourth of July, the inaugural Community Fun Run, the Library, etc. etc. The Independence Day Celebrations for 2012 will occur on July 7. The Funky Fourth Celebration will include the parade, the UCC chicken barbeque, the festival and fair on Town Hall Green, and for the first year a Fun Run. Check back for further information, and join the Association for Email Updates of events.